Amongst a flurry of words such as 'new', 'crazy', 'lucky', 'fun', 'nerve-wracking' that aptly describe my current life situation, you may find that 'busy' encompasses the lot. Thus, Boracay was heaven-sent. No exaggeration. Above is a rather childish and not-so-attractive shot of my excitement– but I will include it regardless because excited Leila is the best Leila. From beginning to end, the 5 days (lang) spent at the wonderful Shangri-La Boracay Resort and Spa were marvellous. Each day began with a sheepish wake-up (swiftly contrasted by a trip to the gym - thank u dad haha not (jks I loved it)) followed by a long day of swimming and eating and napping and swimming and eating again. 4. I got to just stop and think about my life, where my mind was, what I'd learned so far, and where I wanted the next steps to be. With all of that at my disposal, the trip acted as a way for me to regenerate myself; I ticked a lot off my mental checklist. Happy life, happy Leila. Our baon deserves its own section because...macarons. Visit Ladurée in Rockwell. You're welcome. Our short but sweet trip did two things for me; it gave me some very much appreciated rest, and it gave me a realisation. I am made up of two extraordinary cultures that come from two extraordinary places. So for a minute, I am going to toot the be-all-loving-and-all-accepting horn. 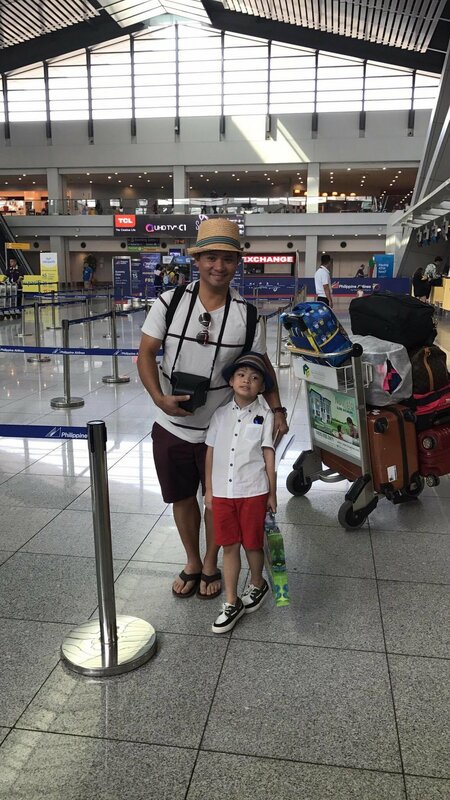 Having an Australian mother, a Filipino father and step-mother, and an Irish step-father has taught me that there are a wealth of benefits to be found in a multicultural world. For one, at 19 I have been able to live in two different countries and experience the best of both. I have many things to learn through cultural differences, and ultimately I am a better person for it. Travelling and seeing different places, even as small as flying an hour to Boracay, can do a whole lot in making you realise that the world is a big place made small by our connections. During our stay at the Shangri-La, we met and had brief conversations with people ranging from Spain to Sweden to Australia. Whilst hearing the Australian accent provided a little bit of nostalgia for me, talking with people from all reaches was a sweet sentiment that enriched the trip, even a little bit. Now, onto my point and horn-tooting; love and be loved, listen and be listened to, accept and be accepted. This world is an ever-evolving entity that cannot be restricted by antiquated values and beliefs. In a time where there is judgement of others, be the one to judge not by race, but by character. We are a people defined by our own multiculturalism. Something to embrace, not deny. You'll feel better, promise. Thank you in advance, my loves!